The line at the Blaine border crossing wasn’t as bad as I had expected for a Friday evening. “Any egg products?” the border agent asks. Good thing my scrambled egg and polenta concoction turned out to be inedible. I don’t have to lie! We’re at the trailhead by 7:00 for the obligatory starting photo. The only coffee shop open in Breckenridge at 6:30 doesn’t serve lattes, so I console myself with a donut. I’ve forsaken coffee on this trip because I like a lot of milk in my coffee and the powdered variety just isn’t right. Tea bags are much lighter, anyway. As promised, here’s our gear list. I’ll do my best to include weights now that I’ve put a new battery in my kitchen scale. (I’ve used grams, since they’re easier to add up — here’s a converter if you need it). 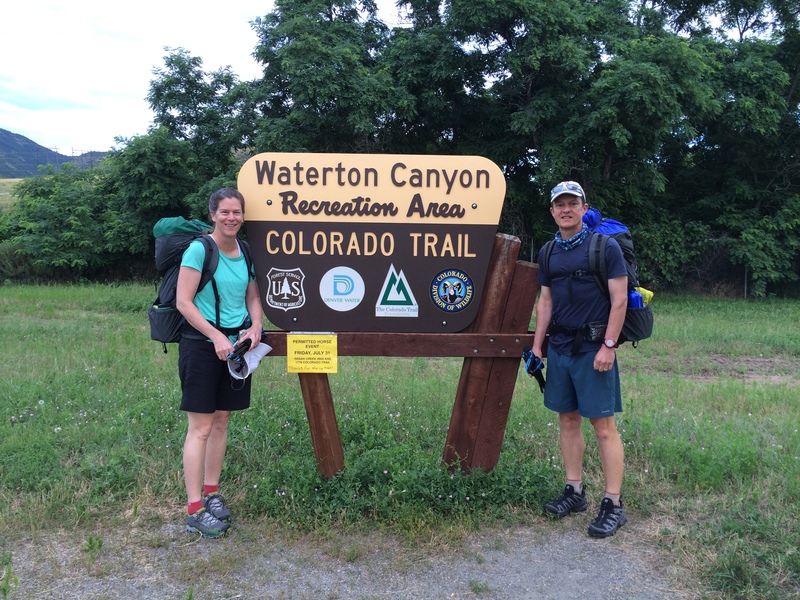 It has been months since we finished our thru-hike of the Colorado Trail. I wrote the blow-by-blow here on the blog; you might even have read it. What I have been less able to articulate is how the hike has affected me now that I’m back home again.